You can learn to make many different kinds of crafts that you can sell at craft fairs, to local retailers or through online marketplaces. Your profit will depend on your skill level and on how fast you can make the individual pieces as well as on buying your materials at wholesale prices. Create beaded jewelry and home decorative items that you can sell or consign to local retail stores. Making beaded crafts can be quick and easy if you simply string a strand for a necklace, bracelet or lanyard holder. Swarovski crystal beads will make any strand stand out with vivid sparkle and will surely grab the attention of potential customers. You can also learn to sew more intricate beaded designs like flowers, ladybugs and other insects that you can use as part of your jewelry designs or to accent candle holders, mirrors and other decorative items. 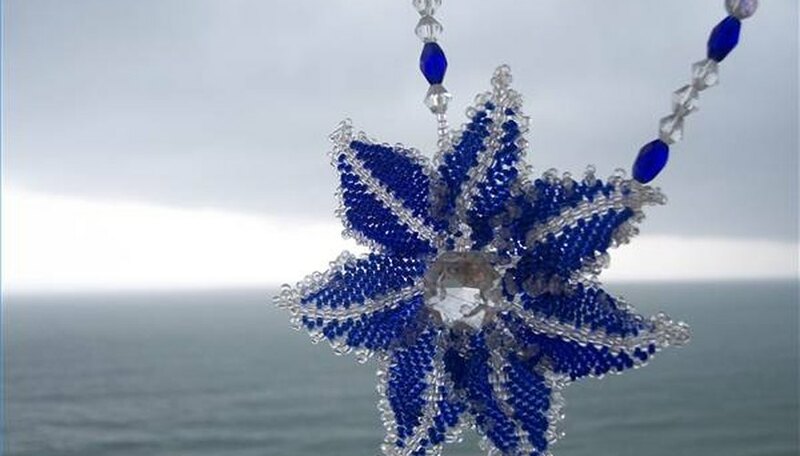 You can find patterns for beaded projects online and in beading magazines to help you transform tiny seed beads into works of art. Learn the art of creating beautiful stained glass pieces and sell them locally and online. Custom stained glass windows or simple stained glass sun catchers will always have a market. Cutting, fitting and soldering stained glass pieces takes practice, but there are stained glass crafts you can make and sell that require no grinding or soldering. 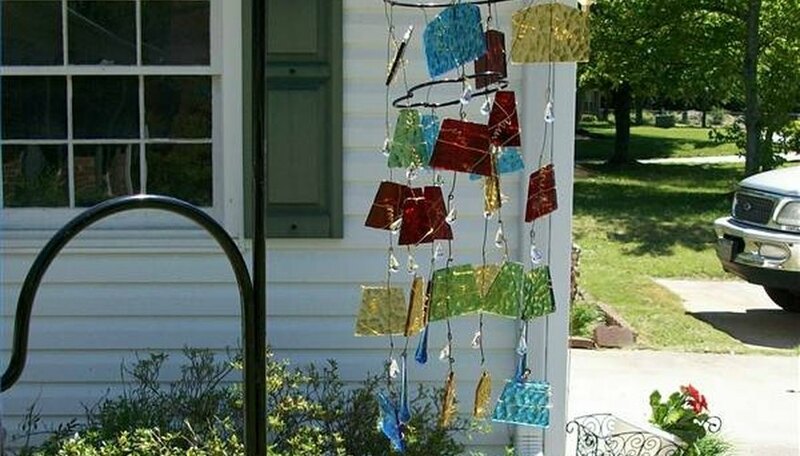 Wind chimes made with strips of cut glass, decorative door hangers made with stained glass panes or a hanging birdbath with strips of stained glass fringe are simple crafts to make. Cutting the glass is easy, especially if you do not have to be so precise. Smooth the rough edges with a diamond file and wrap them in copper tape for safer handling. Drill a hole in the top or wrap the glass with wire to make a hanger and add stained glass pieces to many of your ordinary craft projects. Decorate wooden birdhouses, trays or other wooden objects with decorative painting techniques and glass embellishments for crafts that you can sell. You can find several different types of ready-to-decorate birdhouses and other premade wooden craft projects at your local craft store, or you can build them yourself with a plan or a pattern. You can learn simple decorative painting techniques from videos available online or for sale at your craft store. Donna Dewberry teaches a popular method of painting beautiful flowers, vines and garden-related insects that would be perfect for painting on indoor or outdoor wooden crafts. Remember to seal your finished project with polyurethane to protect it from moisture and the elements. Embellish the painted scenes with flat-backed rhinestones or cabochons.